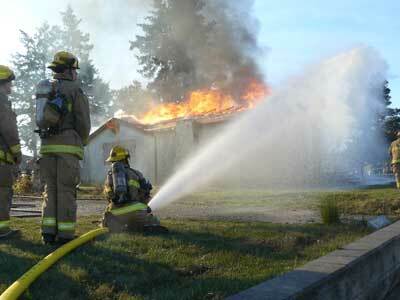 Parksville Fire provides a wide range of emergency and non-emergency services to the Parksville Fire Protection Area. Services to the community include fire suppression, motor vehicle incidents, response to medical emergencies, hazardous materials incidents, utility emergencies, carbon monoxide alarms and we perform rescue services, along with other public services. The goal of the department’s fire prevention office is to maintain a minimum level of fire and life safety for the general public in public buildings throughout the community, through education and enforcement of applicable codes and standards. Investigations are conducted to better understand the cause of a fire and determine how similar situations can be prevented. Fire protection in the form of suppression is a primary function of the department. We attend a variety of fire type incidents such as brush fires, structure fires, dumpster fires, vehicles and beach fires. The department also provides mutual and automatic aid for fire suppression to all local emergency departments. 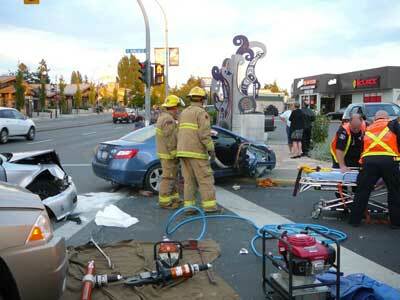 The department provides a variety of rescue services with the most common rescue being auto extrication. As well, we provide confined space rescue and have a team of specialized technical rope rescuers. We provide first responder assistance to BC Ambulance Services when they are delayed or require additional personnel. Members are trained to setup landing zones for air ambulance medivacs. Hazardous Materials Incidents involving hazardous materials are one of the most serious and complex types of emergency responses for any department. Members are trained to the operations level and can handle a variety of incidents. Fire Prevention The department conducts regular fire safety inspections of public buildings and hazardous operations, conducts fire investigations and provides development and building plan review The department is also responsible for the permit process for open burning and fireworks and enforcement of BC Fire Code requirements. Public Education As part of ongoing fire prevention, the department is involved in public outreach. Public education may include fire extinguisher demos, fire hall tours, Fire Prevention Week activities, fire safety talks, emergency preparedness education, and other public outreach events and activities. Fire Cause Investigation The Fire Services Act of BC requires all fires be investigated within three days of the fire, excluding holidays. The department will conduct investigations to determine the cause, origin and circumstances of each fire. This inspection occurs regardless of whether the fire was accidental, caused by negligence or by design. Contact a member of the department to book an education opportunity (school, business, neighbourhood) with Parksville Fire. We'd love to hear from you!